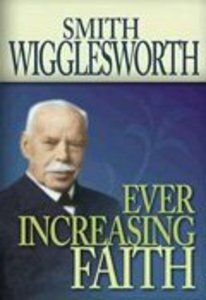 Smith Wigglesworth, often referred to as the Apostle of Faith, was one of the pioneers of the Pentecostal revival that occurred a century ago. Without human refinement and education he was able to tap into the infinite resources of God to bring divine grace to multitudes. Thousands came to Christian faith in his meetings, hundreds were healed of serious illnesses and diseases as supernatural signs followed his ministry. A deep intimacy with his heavenly Father and an unquestioning faith in God's Word brought spectacular results and provided an example for all true believers of the Gospel. - Publisher.